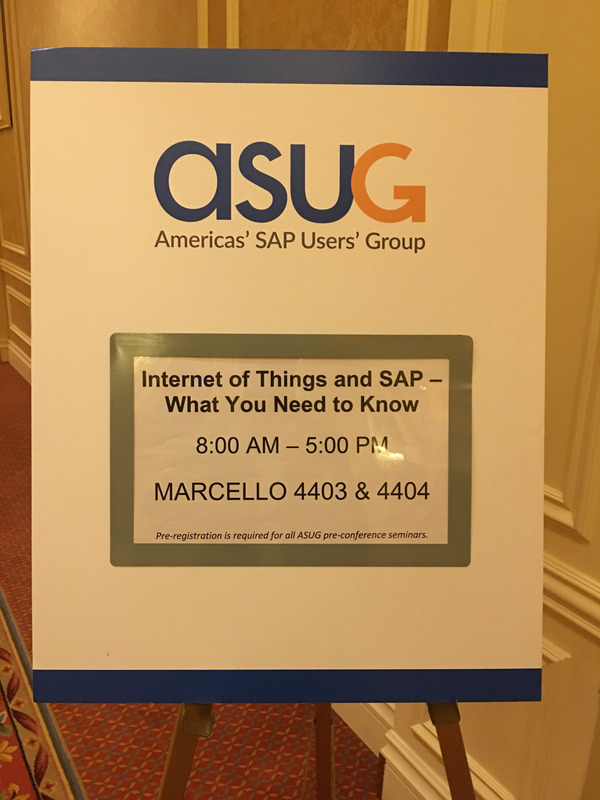 We had an excellent and extremely successful TechEd 2016 – ASUG Pre-Conference Seminar – Internet of Things and SAP – What You Need to Know! Attendees got an opportunity to learn about SAP’s IoT strategy, platform, solutions, accelerators and other technology related to IoT. 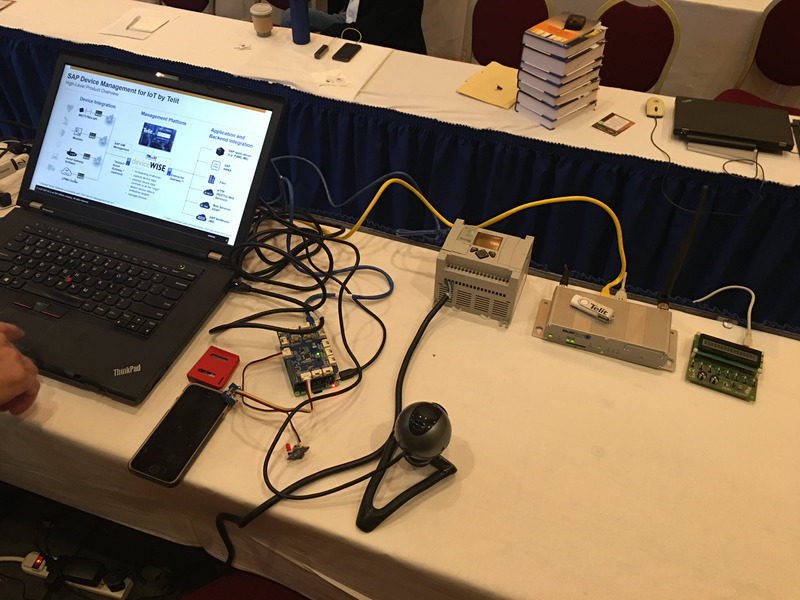 SAP IoT experts with real life experience in architecting and completing IoT projects educated the audience about the SAP approach to addressing the IoT opportunity across various industries. 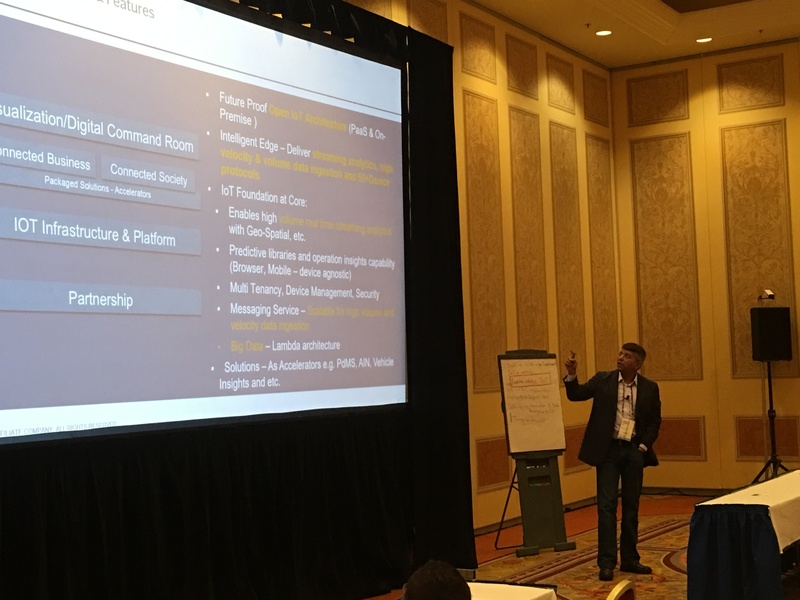 Important topics addressed were the SAP IoT Platform, Edge and Center including how SAP works with the ecosystem of partners to help SAP customers to realize end to end IoT solutions for their businesses to go from Things to Outcomes. 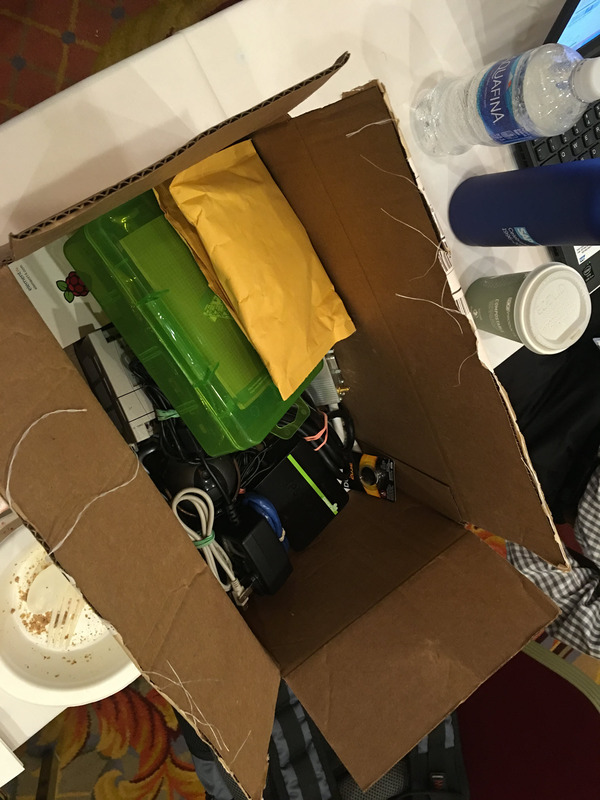 The following are some highlights from the event and the feedback that we got from the same. 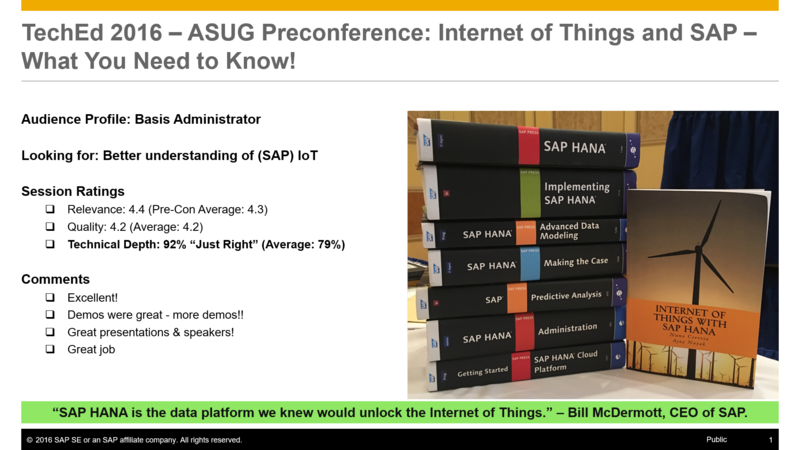 We at the SAP Internet of Things team had a lot of fun in understanding the needs of the audience and designing the content of the session. The result was the mind blowing feedback that we captured as outlined above. 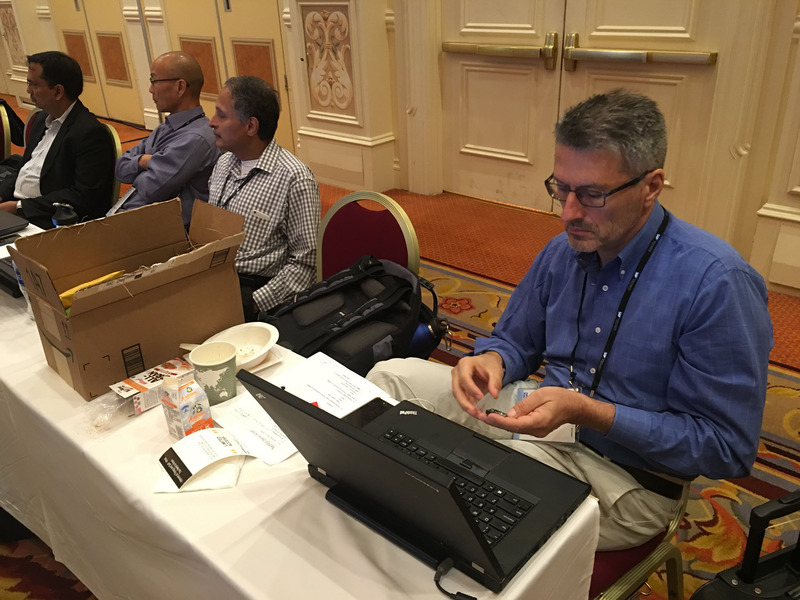 THANK YOU to ASUG and the TechEd, Las Vegas team for having provided us this opportunity to serve the needs of the SAP community of practitioners that wanted to better understand the SAP Internet of Things. To facilitate education and connections in the SAP ecosystem and to continually expand our community, bound together by real experience, to educate, influence, and enable business results and achieve real competitive advantage for all our members. For over 40 years, SAP has been helping customers map their journey through digital transformation. No one has more knowledge and experience in business processes, while giving our customers a 360° view of their entire business operation. IoT has the potential to drive the largest segment of growth in new business value with the right solution infrastructure. SAP can help you know where opportunities exist, evolve your business processes to take action, and create new business value and ecosystem advantages.